Sweden EK CARBON has the "5 + 2 layers" construction including the outer veneers made by OAK wood. 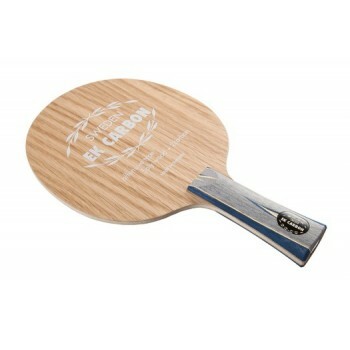 The OAK wood is hard and improves the blades stiffness and speed, which is suitable for the new plastic material balls. In addition, the OAK wood also offers an elegant look. (EK is the Swedish word for OAK).